Last year we made a brief visit to Bosherston Lily Ponds as part of a day exploring Pembrokeshire, and were fortunate enough to have a very close encounter with an Otter (see here). On Sunday we headed back to spend a full day there in order to better appreciate the full range of habitats and wildlife that the area offers. Things got off to a great start with six Goldeneye and several Goosander feeding on the first lake we passed, while overhead a pair of Buzzards called loudly to each other. A very active Goldcrest came within a few meters of us but it was too dark to attempt any photography under the trees. Talking of light we had been promised a glorious days sunshine by the weather forecast but what we actually received was a bitingly cold wind and long periods of grey cloud cover. Never one to be perturbed by yet another incorrect bulletin we left the relative shelter of the lily ponds and struck out along the cliff tops towards Stackpole Head. With the exception of a few Meadow Pipits and the odd Cormorant out at sea things were relatively quiet until we stumbled upon a pair of Fulmar's sat on the very edge of the cliff. I got on my knees and crawled over until I was as close as I dared, fearful of their sharp beaks and ability to spit out a foul smelling oil when threatened. Clearly I was not seen as a threat as they completely ignored me allowing me to watch one of my favourite seabirds at close quarters. While I was there they were vigorously defending their patch from the rest of the Fulmar's that kept gliding in on the wind. At times these passing birds were almost brushing my head with their long stiff wings they were so close. On the odd occasion that another bird tried to muscle in on the pair they were soon sent packing with a few well placed nips from that impressive beak. Eventually the other birds seemed to get the message and my two were left to their own devices. It's not hard to see why these birds enjoy this section of coast so much when there are such fantastic cliffs to nest on. Eventually I had to drag myself away before I ended up with hundreds of very similar pictures. I once again failed to get an in-flight photo but I'm not going to complain after getting the shots above. We carried on along the coast spotting a Razorbill in the process, before turning back inland to return to the lily ponds. About half way there we passed a flock of four Chough feeding on farmland. Their numbers really seem to have been doing well in the last year or so as it is now very rare that I don't see them on the Pembrokeshire or Gower coast. Back on the lakes Goosanders seemed to be everywhere with other diving ducks included three Little Grebe and about twenty Tufted Duck. A couple of Wigeon were an unexpected surprise. The best birds of the day (and indeed any other day for that matter) were to be found in the reed bed that grows where the lakes flow out into the sea. After a bit of searching we managed to locate three Bittern standing motionless and almost completely camouflaged. If you are wondering there is one slap bang in the middle of the photo above; it's beak pointing vertically yet its eyes still managing to remain fixed on us. I imagine that these birds will soon be on their way back to their breeding grounds in the east of England as they only visit Wales during the winter. I wish them well on their journey and look forward to seeing them back again next winter. Lovely images. Well done with seeing the Bittern. I have a clip on Youtube of the one I saw this winter. Great camouflage and so hard to see. Apologies if this link doesn't work and also for the music over the clip. Thanks Andrew and nice video. You were very lucky to see one out in the open for that long. That gull series is SO animated...you can almost hear the ruckous!! I found the bittern right away. They like to pretend they are hiding in the tall reeds. Great shots of the gulls and I love the coastline photo. Sondra - It's probably one of the best camouflages I have seen in the bird world. And the Fulmars really were very noisy. 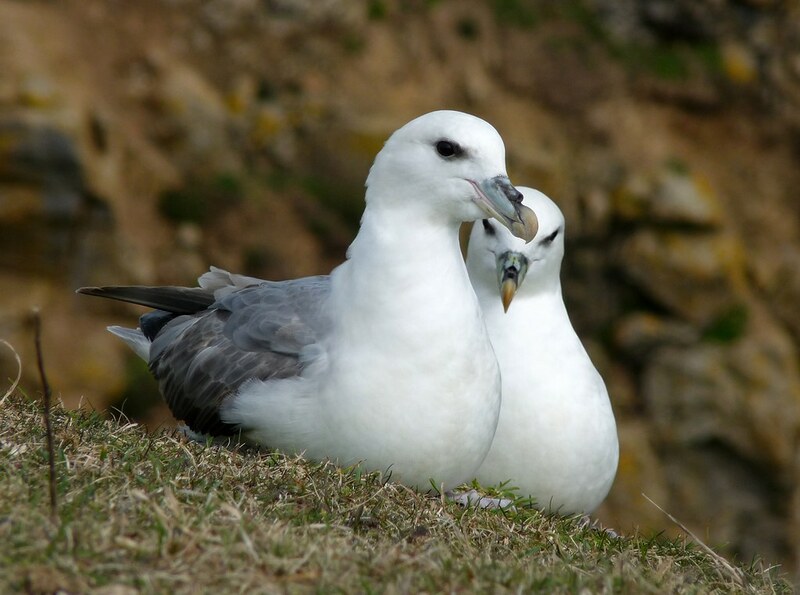 That is a beautiful coastline and the photos of the Fulmars are great. Ah bitterns! - used to live nr. Leighton Moss and saw them on a few occasions - forgot how wonderful the camouflage is. Nice shots, and a very nice landscape! Mick - It certainly is. Stewart - Thanks. Cant beat Bitterns for camouflage. Always a challenge to see them when they aren't being forced out into the open by frozen water. Øyvind Buljo - Glad you like them and thanks for stopping by. 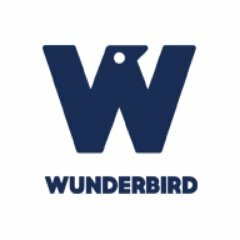 Great tour of your area and its wildlife. Boom & Gary of the Vermilon River, Canada. 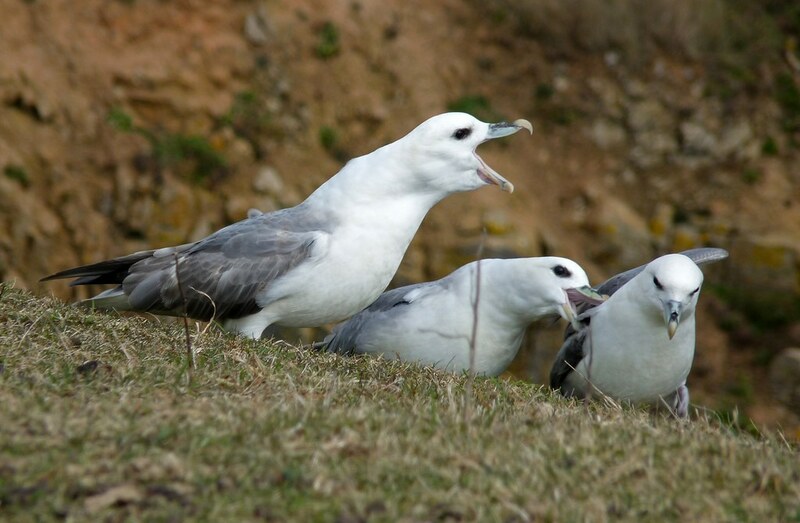 Love the shots of the Fulmar's Adam. Must have been great to be so close to them. Very nice images. A new blogger is very impressed. Bravo! Great post, Adam! It looks like your trip really paid off! 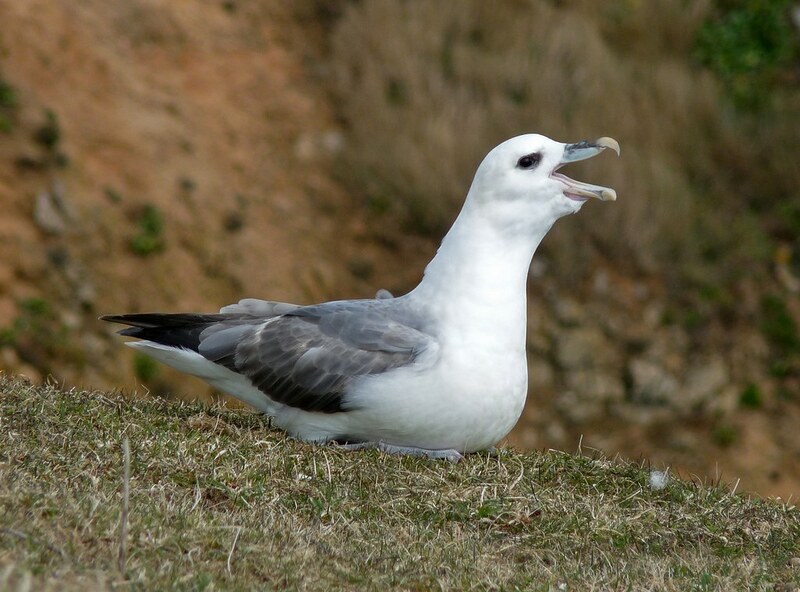 I have never seen a Fulmar up close - nice series! It took me several minutes to find the Bittern in your photo; in fact I had to enlarge the screen. What camouflage!! 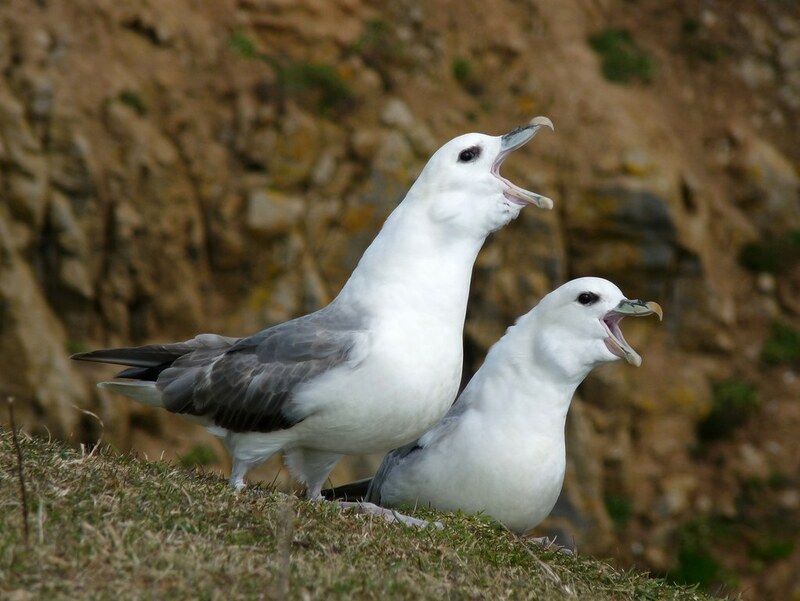 Excellent shots of the Fulmars - they are spectacular-looking birds! 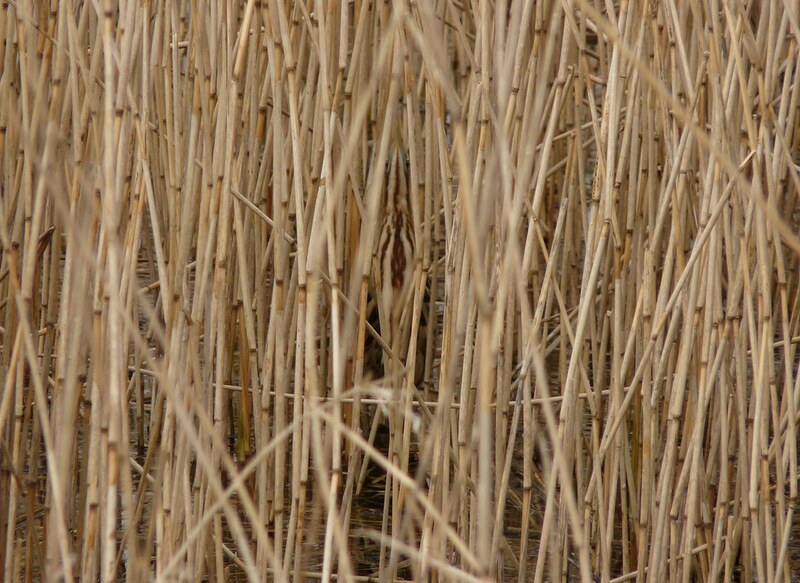 Those reeds are great camouflage for the Bittern - I didn't see him at first! wonderful post! the fulmars are really quite beautiful -- and great shot of the bittern matching its environment! Teriffic post Adam, your way with words is second to none. But your fantastic images really take the cake. Your gray skies seemed to provide you with perfect light for capturing white seabirds. The shots of the cliffs add the perfect landscape reference. Awesome stuff! Gary - Glad you enjoyed it. Keith - It was certainly an experience. 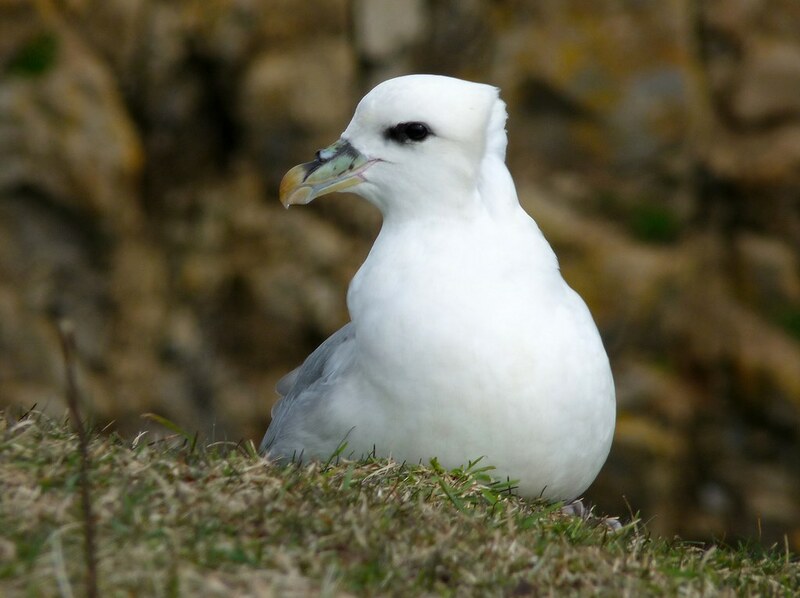 Fulmars are surprisingly large up close. Fotokarusellen - Glad you liked them and thanks for stopping by. Hilke - Their camouflage really is very impressive. It took us ages to find the Bittern as the reed beds there are fairly large. Bailey-Road - Thank you. Much appreciated. Springman - Thanks so much. The grey light was a bit of a godsend really as photographing the Fulmars in the full sun would have been a bit of a challenge.